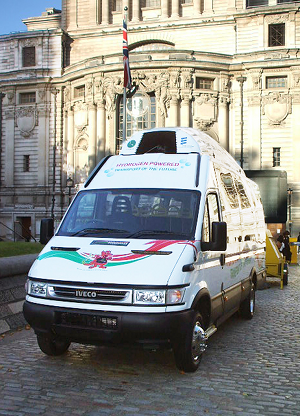 The University of South Wales' strong research capability in electric energy storage systems, and power control systems has led to the development of initial prototype Electric Vehicles (EV) and Hybrid Electric Vehicles (HEV) and Tribrid Electric Vehicles (TEV). This work has included fundamental research into energy and power storage systems, with particular emphasis on power control systems for vehicles combining battery, supercapacitor and fuel cell energy sources. This task will facilitate further experimental development of these advanced alternative powertrain systems, focusing on optimization of power system control, development of the battery/fuel cell/ ultra-capacitor interface and improvement of the vehicle systems integration. This task will also include the use and further development of the existing advanced simulation tools to enable effective plant balancing across varied duty cycles. 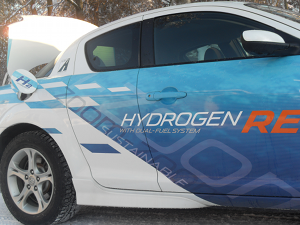 The activities in this task will be conducted at the Renewable Hydrogen R&D Centre in Baglan and the University’s new Centre for Alternative Powertrain Engineering opening in 2010. This task will develop the hydrogen engine test facility at Baglan to enable analysis of power and emission data from the chosen hydrogen combustion engine(s). 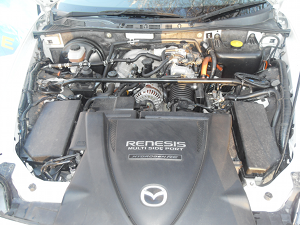 The task will deliver a comprehensive engine testing programme. As with task 3.2 this task will evaluate a range of hydrogen and variant hydrogen fuel configurations, including hydrogen injection with diesel and CNG or biomethane gaseous mixtures. 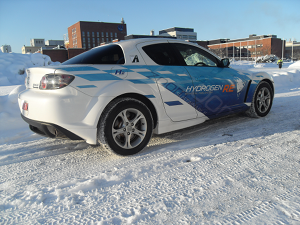 The results of this task will feed into WP3.2 to facilitate integration of a suitable hydrogen ICE into vehicle(s). It is expected that the testing programme will also lead to several injection mechanisms and associated publications. 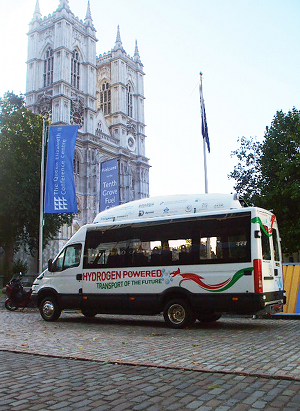 This task will analyse the potential of early adopter hydrogen fleet operators in Wales. As well as meeting with individual fleet operators, the task will also including meetings/ workshops to develop options and realise early hydrogen vehicle deployment opportunities. 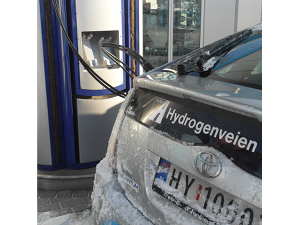 The task will also assess the opportunity for joint procurement opportunities to reduce the cost of new hydrogen fleet adoption. 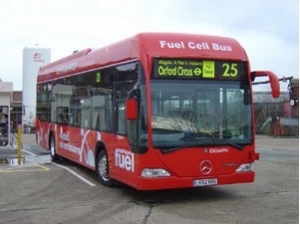 The results of this task will be a comprehensive review of the potential hydrogen fleet operators in Wales and a practical development plan to convert or develop new hydrogen fleets, including the optimal economic / financial configurations for hydrogen fleet development. This task will analyse the optimal siting of early stage hydrogen refuelling stations in Wales to enable fleets (particularly) to be established and extend this to a thorough infrastructure development plan. The approach adopted will consider a range of drivers, including emissions reduction targets, concentrations of fleet vehicles for early adoption, fuel vector transition planning, delivery on transport and other related policies and spatial considerations. The deliverable will be an optimised geographic development plan of hydrogen refuelling stations in Wales, which identifies immediate adopters and second phase early adopters, in order to build nodal refuelling corridors and a phased deployment plan aimed at ubiquitous coverage in Wales. The task will not consider Wales in isolation, but as leader and part of a phased development programme for the UK and Europe. Informed by WP3.5, this task will cover the securing of funds to allow the installation and commissioning of hydrogen refuelling facilities as dictated by the budget. The full delivery of this task is necessarily conditional on gaining additional capital funding to cover the cost of procurement, installation and commissioning of new refuelling systems, as well as any administrative costs such as planning permission. It is anticipated that this task will deliver the development of at least one and possibly two hydrogen refuelling facilities in Wales in addition to the existing facilities at Baglan.